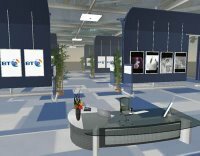 Earlier this week I blogged about the AvaTalk project which British Telecom ran in Second Life. I wasn't really positive about this project, which is about making phonecalls from Second Life to the Real World. I kept looking for positive things, and yes, there's more to BT in SL than first meets the eye. First, let me introduce the players in the arena, which off course starts off with British Telecom. "BT Group plc (formerly British Telecommunications plc) which trades as BT(previously known as British Telecom and still occasionally referred to by that name) is the privatised UK state telecommunications operator. It is the dominant fixed line telecommunications and broadband Internet provider in the United Kingdom. BT operates in more than 170 countries and almost a third of its revenue now comes from its Global Services division. 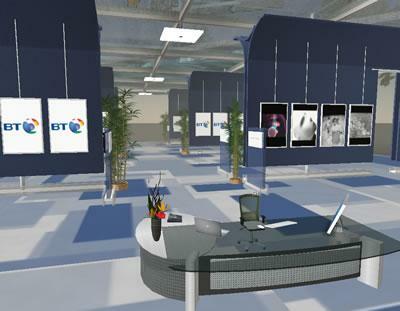 British Telecom worked with Clarity International to create their Second Life experiences (note the plural). Viewing Clarity's portfolio they have done quite a number of projects with BT, not only virtual, but in the real world as well. One of these projects is BT Contact - Your Personal Communication Hub! in which Clarity has been selected to work on the UI designs of BT Contact, a new way to manage all your IM, Email, VOIP and SMS communications on the web. If you link that to the AvaTalk project it starts to make a little sense. 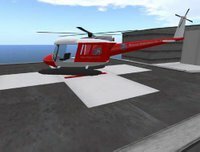 Aside from the AvaTalk concept they have created a number of projects in Second Life. First of which is the BT Tradespace project. BT Tradespace is an online community incorporating a business directory and marketplace. On its site you can buy and sell products and services, find a business and network with other like-minded individuals. Unlike a conventional business directory, BT Tradespace members can use social media tools such as blogs, photos, videos and podcasts to promote their products and services. For prospective customers, it provides the opportunity to get to know a business before buying from them and Clarity has brought this existing Tradespace into Second Life. 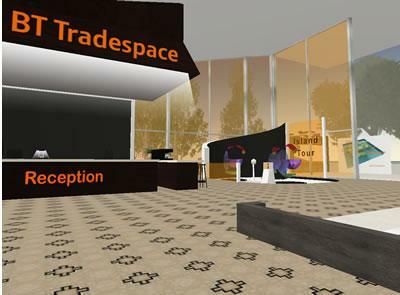 Read more on the BT Tradespace Trial on the SL Tradespace website. Another Second Life project BT has done with Clarity takes place on an island named BT 21CN Innovation, which I think stands for 21st Century Innovation. 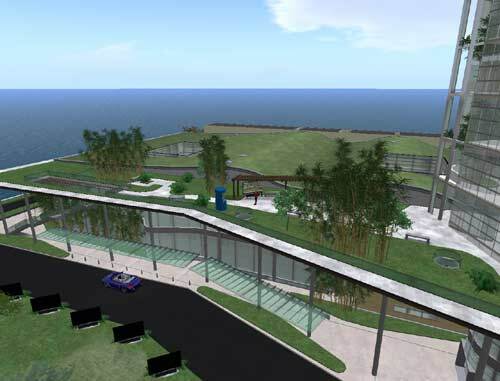 In thisproject the virtual environment of Second Life is usedto explain the reuse concept. Avatars interact with a virtual shopping basket of capabilities to understand them, and view how these capabilities are "mashed-up" to create new products/services. A lot of my earlier scepsis has been taken away after digging into the other projects BT has done. 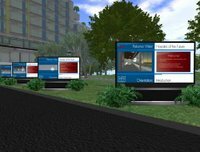 They weren't the first of the telecom providers to dive into Second Life, they were probably the last one. Not everything they are doing is a smashing success, but at least they are trying to work out what they can do with their core business in virtual worlds, rather than use it as a marketing toy. This week I suddenly was confronted with more hospital visits than I'd hoped for (though not personal), and kept delaying writing this post for days. 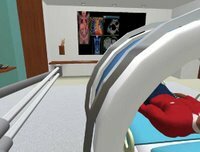 Early april 2007 I wrote a short blogpost on the Cleveland Heart Clinic in Second Life which was probably the first hospital to enter Second Life. 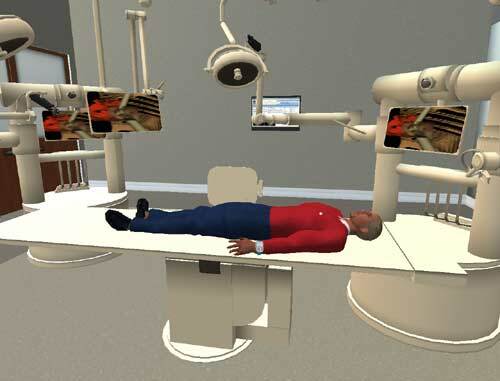 The question I ended that particular blogpost with was: "I wonder though, are they about to perform virtual surgery? I'm hoping they can explain what SL can add to hospital care." The times, they are changing though. Nearly a year later I see how virtual worlds can perform a massive role in education and training. A world like second life offers a lot of opportunities for modelling the complex human anatomy (see for instance the Testis Tour) and virtually practising surgery would overcome a shortage of breathing guinneepigs. Developing effective healthcare team coordination. Duke University and Virtual Heroes are collaborating on a high-fidelity 3-D virtual environment for healthcare, funded by the US Army. The initial project, targeting healthcare team coordination skills, is called 3DiTeams and combines gaming concepts with the healthcare team coordination training curriculum developed by the US Department of Defense and the Agency for Healthcare Research and Quality. 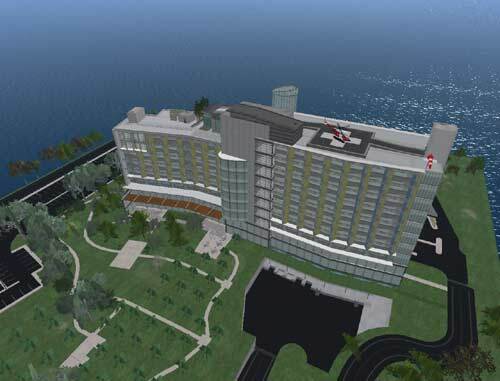 In the past year we've seen several smaller 'medical experiments' in Second Life, but late February saw two major projects enter Second Life; the IBM Healthcare island and Palomar West, both opening in the wake of the HIMMS'08 healthcare conference. Cisco® and Palomar Pomerado Health (PPH) today cut the ribbon on a new hospital in the online virtual world "Second Life." 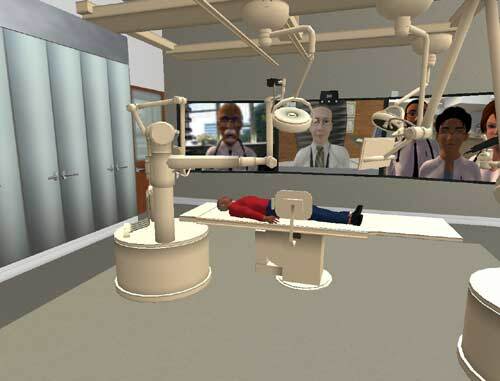 The virtual hospital, a simulation of a real-world hospital campus due to open in 2011, gives visitors the opportunity to tour the hospital years before its doors actually open. In short, The Second Life island is a representation of a new Healthcare campus to be opened in 2011. It actually is a very good build. For n00bs there's a short introduction to navigating Second Life near the entrance of the hospital. I received my Hospital tag which guided me through the hospital, making sure I went to the right rooms to have my gall bladder repaired. 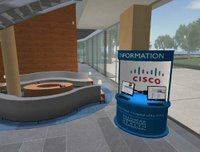 Throughout the tour a lot of information was pushed through excellent movies, but they essentially are a promo talk on the Cisco solutions for Unified Communications, telepresence monitoring, rfID, etcetera. I can see this part of the simulator become real in the near future. 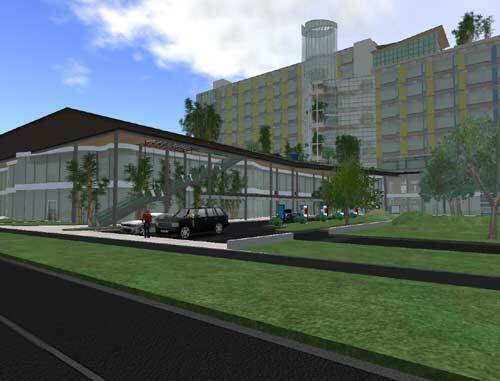 Fully automated, or robot-driven surgery probably won't be integrated in the RL campus opening in 2011. After surgery I returned to my hospital room for a few second to recuperate, but soon was sent outside as 'clean air' helps a lot for speedy recovery. The downside is that I entered into an 'Al-Gorish' speech about minimizing the footprint, low emission products and more green bla bla. UPDATE: The numbers in this blog are old. There will be an update shortly. It's a brave new world out there, the question is which world? We've seen the industry of virtual worlds explode in this past year with billions of dollars of capital funding, takeovers and corporate builds. Over the past year Second Life has drawn more media attention than any other virtual world, respectively positive and then later ill-informed negative publicity has driven the world of Second Life into a hype cycle (as defined by Gartner). NVEs in the market are metaverses and virtual worlds. 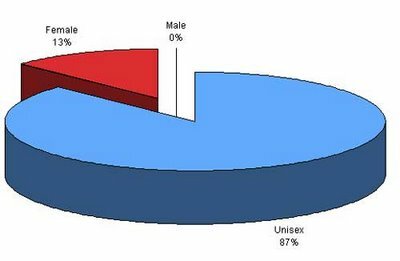 It's not a 100% definition as the industry also includes 2D spaces. I'd like to use it as a term for the entire universe whereas I would reserve the usage of the metaverse for a specific section in the industry. So how big is the market we're talking about? A very good kick off was given at the Virtual World Conference in San Jose (10-11 October 2007) by Christian Renaud. He put in some good effort to come up with a list of about 75 Virtual Worlds with subscription numbers. 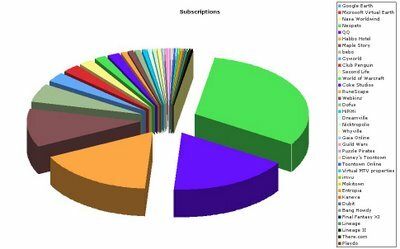 This subscription pie is based on the number of subscriptions per virtual world. Adding up to a grand total of 465.000.000 registered users. Wow, that's huge. That's the entire population of North America, or the entire population of Western Europe. And this is not even counting the Asian (Ralph Koster estimates the number to be close to 2000!). This might be an unbelievable number. We have to put that into perspective. People do sign up a lot, then drop out. 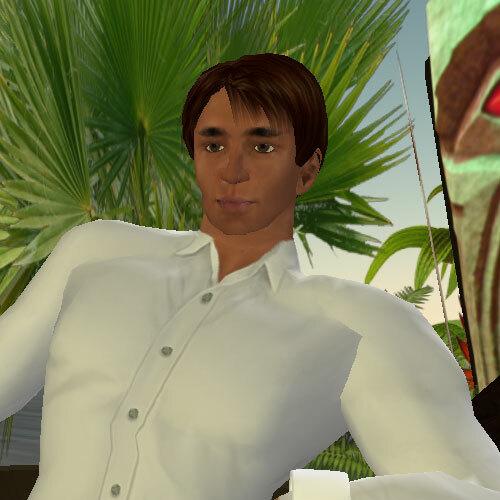 The current number of registered users in Second Life is about 9.2 million of which close to 2 million are active. 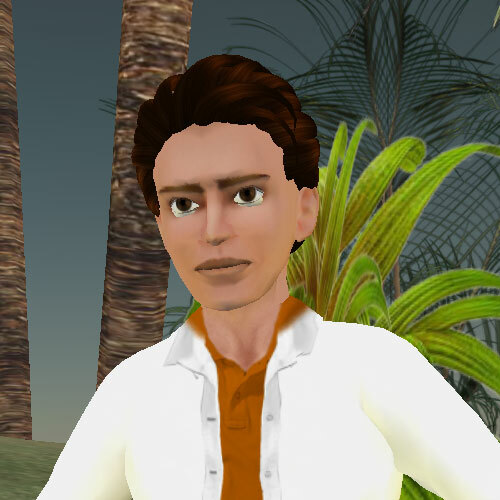 Christian Renaud estimates the total number of active virtual world residents to be close to 50 million. Still, the number of signups is impressive. Let's take a look at the Social Network list on Wikipedia; it gives a list of 85 community sites totalling 1 billion registered users. Like web 2.0 sites, we do travel a lot. We sign up, play around and then move to the other world / site. And there's people like me. I'm registered at about 15 Virtual Worlds. How do we use these worlds? A quick and easy split up is to say we use these worlds for social activities (i.e. Social Network Worlds) and for personal recreation (online gaming). But we also start to use these worlds for business purposes: online meetings, training, simulation, promotion, recruitment etcetera. Where does the business fit in? There's a number of platforms out there that could be considered as being typical business environments. Like Qwaq with office applications and Forterra which focusses on training and simulation. And then there are the intraverses. These have a business oriëntation as well. The chart below shows the division by usage focus. There is business on Second Life, but Second Life is not focussed on business. Each world has its own culture and its own demographics. The chart below gives an overview of agegroups. It's not a demographic of the VW residents but an overview of worlds focussing on a specific agegroup. Teen Worlds are growing fast in the sector. There's no world yet that has a focus on elderly people yet. 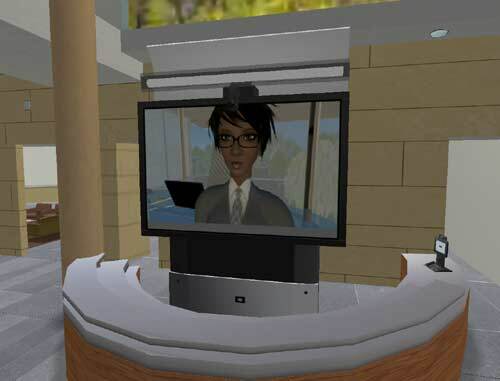 The virtual residents are generally young people. But there will be a market for elderly people, I'm sure. One of the problems of a lot of elderly people is a lack of social contact. 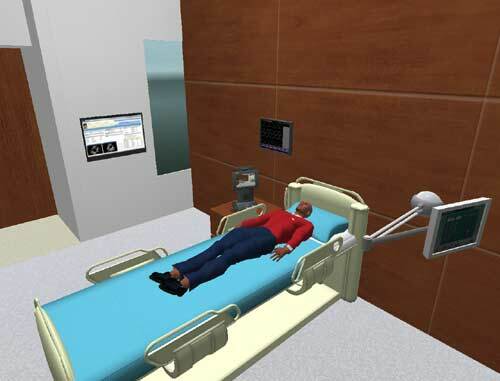 We'll be seeing our first virtual elderly home in a few years time. Finally, it's an enormously varied landscape. Different cultures, people and habits. A wide variety of engines are used to drive these worlds. Some are java-based, some are desktop applications that connect to grids and some are using streaming technology. It's almost impossible to try and define these worlds, let alone find ways for unified communications, interoperability and portability for the sector. Christian Renaud's keynote this morning was generally received as an outstanding analysis of the Virtual World industry and the challenges that lie ahead of us if we want it to go mainstream. 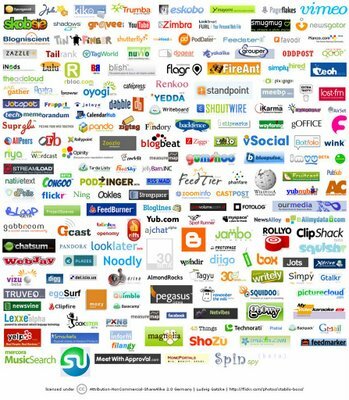 What it all boils down to is that the web, and especially the social web is getting very confusing. We need to have multiple identities, and now there are virtual identities to juggle as well. You've gotta go nuts if you have to juggle all that. This isn't much different from what I've blogged midway june (VeeJay juggles web 2.0 chaos). Like Christian said, we've failed to get openID into place when it comes to the web, let's try to get it right for virtual worlds. 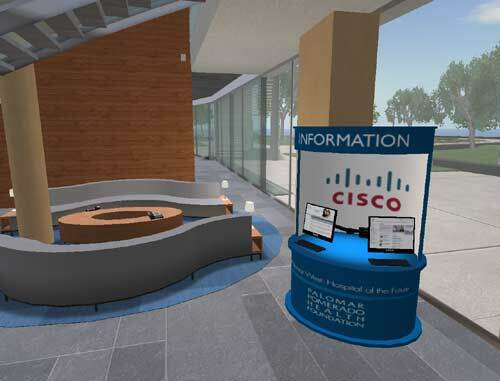 In order to get this right for the Virtual World industry, several thoughtleaders met the day prior to the VW Conference, amongst which Cisco, IBM, Linden Lab and Philips. 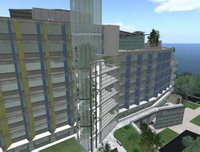 Linden Lab and IBM put forth a press release stating they are working on interoperability and portability. Other terms to describe this are unified communications between Virtual Worlds, or setting new industry standards (is it going to be VHS or Betamax?). IBM has made no secret of the fact that they have been pursuing this for months, the only speculation and blogosphere fuzz at the moment is that it's now an official tie-in with Linden Lab. While talking to Craig Sherman on this he let me know that Gaia is pursuing its own target group and has no intention whatsoever to even start thinking about portability. pretty much the same goes for Habbo Hotel, as Timo Soininen doesn't see much chances to asses the value of goods for portability. John K. Bates of Entropia / Mindark noted that value is generally based on user demand for goods and in a lot of instances World-specific. Like in Entropia you've got dung. Absolutely of no value if you return it to the Entropia caretakers, but a must have for landowners who need dung to fertilize their lands so they can grow monsters and tax those who come to their land to hunt monsters. So in entropia you might wanna be a dung-baron if you don't want to pay for stuff and still get rich. Christian Renaud , Cisco – What’s Next? This isn’t the first attempt to start virtual worlds and virtual business. This has a long history. And there are many steps to be made to get to the next level. In 1988 there was a seminar on interoperability, TCP/IP and there were just a few attendees, five years later it was mass market. What’s different right now is that we have all this creative energy. We’ve got mmorpgs, we’ve got unified communication tools. 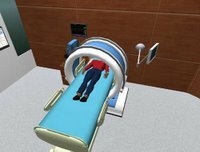 Taking that and combining it and slamming that together at this high speed and you can use Second Life or World of Warcraft as business tools. It fills a need in the technology toolbox. Cisco likes to make probabilities from possibilities. We have 6.5 billion people on the planet. That’s the audience for virtual worlds. 45 M are active virtual residents, not tourists. That’s about as big as all the early communities (compuserve, the well, aol, eworld etc) together had at their peak. We’ve failed with instant messaging. We’ve got these big walled gardens and need multiple clients to talk to all our friends. Do we need to find a standard, or do we have to have just one platform? We have to have interoperability. There has to be no switching cost. You have to be able to choose which platform gives you the best return on your investment. There’s a 40 million people market, and as a business you have to choose one in 40 platforms, that’s a bad choice to get your ROI. If we had this discussion about platforms 10 years ago we wouldn’t have web. Platform shouldn’t be the discussion. It’s the content put on it. There are too many genetics and too many usecases to get one-size fits all jacket. It’s different tools for different jobs. There’s a number of different dimensions, like mobile and peer to peer needs that have to find a place in this landscape. It’s not my intend to be a big corporation that brings in a bulldozer and levels the diversity of the landscape and put out a huge concrete mall strip. There has to be different modalities, variation between fun and work. Attention is the only currency left. Attention needs diversity. Howver, work needs to be fun as well. Screen, desk, a very industrial setup will have to change. An asian businessman: Puzzle Pirate. There’s too much overlap throughout the industry to categorise. Think of the industry and it will get bigger, don’t focus on the little piece of the pie you cut out for yourself. There are things we can do from a technology point of view to help secure the content of VW’s. We need to have a strong concept of idendity, it’s based on trust. We haven’t been able to solve open-ID for the internet, but maybe we can do so for virtual worlds. A strong Identity can give you credit, a reputation, a trust that helps you sell, make your business, How do we manage our presence? Let people know we are busy etc. There are things we can't do as good as we can in RL, but there are things we can do better than in RL as well. Augmentation, specific content based upon who you're talking to. If it's just amongst us we can throw out every number we like. When talking to people outside we have to rationalise, come with metrics. Real facts and figures. The industry has to step forward and come with universal metrics. Business needs to know where the money is. One of the good initiatives is MMI, the metaverse market index. (spin off from Metaversed's Grid Safari's and Metanomics sessions. This is a derisking and industry building initiative. There's work going on on interoperability. Content is core, platform flexible. Convergence over divergence will benefit the industry. We've gotta look for pitfalls and not stick to the "we could this" suggestions, but also consider if "we should this" element. What can we do for collective intelligence. What can we do for collaboration, for culture? 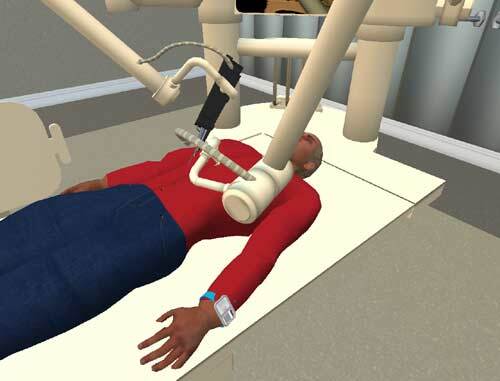 What can we instrument, do to overcome deficiencies in our options in Virtual Worlds? An Examination of Virtual World Platforms From the Enterprise Perspective. The number of virtual worlds platforms are proliferating from publicly operated virtual worlds to private world engines. Where does an enterprise start when evaluating a platform based on BEST: Business, Economic Value, Social Interaction and Technology? This detailed session will review the leading platforms for enterprise use, talk about the real business value being realized in virtual worlds today and have a look into the future of virtual worlds fit for business. Like With the internet we've explored, done a lot of things that we don't want to repeat. 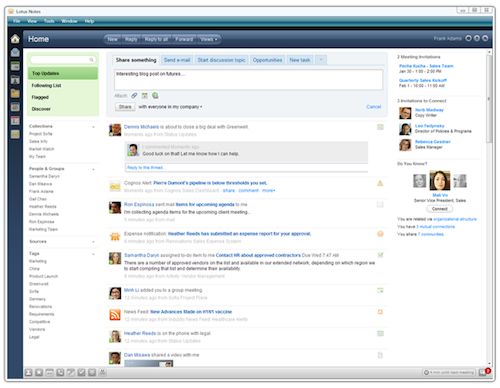 IBM is currently engaged with over 400 clients in v-business. There's an increasing market accelleration. Market trends are guideposts for pioneers. There's an enormous value in Enterprise and consumer social platforms: Recognition, interaction, social bonding and a sense of belonging in global enterprises. The IBM Intraverse runs on an Active Worlds platform. A presentation of the intraverse was given at Cornell, and was live-streamed into Second Life to the Metanomics meeting. We're going do see 4D very soon. 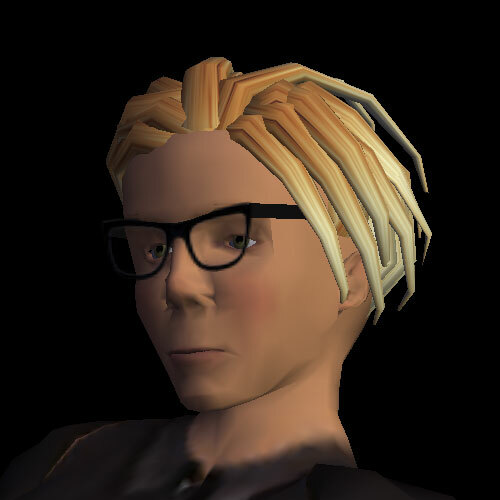 Already there are people programming their avatars to do stuff when they're long gone. VW's are going temporal. A universal and generic approach makes VW's more open and available, mass marketable. We're moving from the information age to the conceptual age. Identity management is going to be a very very hot issue in VW's in the coming years. Tonight saw another brilliant episode of the Metaversed Geek Meet. With speakers from Ogoglio, Amazon and Cisco. First to kick off was Trevor Smith of Ogoglio who had a very straightforward story on the open source community in virtual worlds. Open source software from the apache project hosts a huge percentage of the web. Open source operating systems run most of the core application level infrastructure like the Google borg and DNS. When facing such cultural, technical, and legal momentum... ...it seems foolish to glom closed spaces onto the side of this huge open web. Point Two: Basic 3D technologies are no longer black magic. Point Three: Open source is painfully honest. When your checkin comments are in the public record and anyone can fact-check your press release by browsing your code..."
Our second speaker was Jeff Barr from Amazon, known for his enthusiatic commitment to Things to Do and the Amazon build, speaking on Amazon's Elastic Computing Cloud. "With a virtual environment like Ogoglio hosted on it, you can conceivably spin up a whole bunch of them (hundreds and eventually thousands) to deal with a short-term event like a party or a concert. Or a big company meeting. Maybe it lasts an hour, or a whole weekend. Instead of begging your friends for loaner servers or buying them outright, or paying a by-the-month hosting plan, you use what you need. This seems to be an ideal solution to the very spikey demand that you will see from a virtual world. Mostly low demand, but occasionally very, very high." Last, but certainly not least was the inspirational Christian Reinoud from Cisco who spoke on the future of Web 3D. "Wen people invest as much time and energy as we all have into our sims, avatars, etc. we'll want to take them with us at the same time you have companies like Wells and MTV who are concerned about liability and their brand and will opt for more walled/controlled experiences"
This discussion handsomely evolved into a very sharp discussion on various cultures within the metaverse, creating their own identities, just like in Real Life. The notorious Prokofy Neva was also present and did some seriously sharp questioning of the speakers. 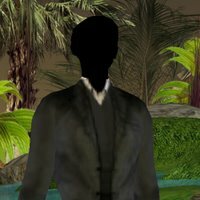 "If you make a uniform protocol for avatars/goods across the frontiers of worlds, won't that introduce the same ill effects of RL globalization, and demolish some unique indigenous cultures and overutilize labour and resources in some areas and underserve others? Im' not certain that cross-world identity porting is quite in demand as you may think." That surely did leave us time to ponder! The Geek Meets are becoming a popular event. I got in early as I expected the meet would be maxed out and truly 15 minutes upfront it was hard to squeeze in the speakers. Our host, Nick Wilson from Metaversed is becoming a real facilitator and set up a few things like ustream tv so other people could follow the meet as well. Being under pressure to come to twitter I finally signed up. Web 2.0 is getting a little confusing right now. And 5 email accounts for various sideshows and clubs I'm involved in. Then there's stats to watch and pimp at http://www.technorati.com/ and AWstats for my hosting account. Finally there's some 100 RSS feeds to monitor, my pages at http://www.linkedin.com/, xing and ning and my page at http://www.hyves.nl/ to maintain, not to mention the old 90's crowd at http://www.ancientsites.com/ who know me as Johannes Nestor. The one thing that keeps me standing up in this total chaos is for the most part http://www.netvibes.com/ which I prefer over iGoogle. It offers me widgets for webmail, weather, rss feeds, twitter, del.ici.us, flickr, digg it etcetera, so I've only got about 3 tabs to scan every morning. Still, some of the aforementioned socalled essentials to Web 2.0 are don't integrate as well. Web 2.0 is about social networking, but in my case that network is almost too widespread to maintain and too many accounts are needed to keep a grip. This world needs more unified communications. (My collegues at Sogeti would agree, and I guess the almighty Epradator agrees as well as he said much of the same on his view on Virtual Worlds). Tech Rocks, but for tech-savvy folks it's getting a full-time job to read the various sources that tell you what your job should be. Information overload, or load balancing is the question. 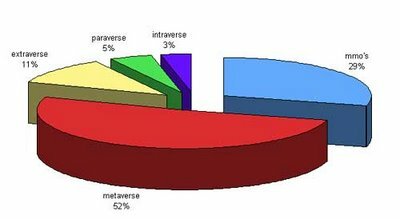 Friday's the night of the weekly Geek Meet at the home of Metaversed's 57. This weeks turned out to be übergeekmeet. This first pic show me and Aleister sitting next to epradator, aside from us, and 57 we saw several other bloggers and journalists appear at the meeting, all curious to see what the übergeeks of IBM, Intel and Sun would have to say. Here's a full wrap up of the crowd, filled with the Geeks, the guru's and the metapolitans. 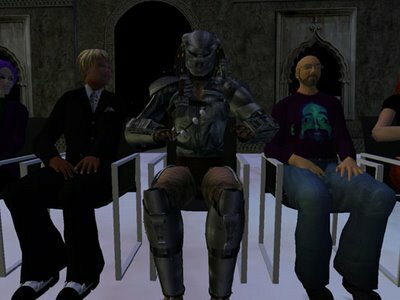 "the subject is using the metaverse for business and what are we up to that is not Second Life. Firstly I have to say that SL has been the catalyst for all this, many of us have tried to get things like this going for years so we are not in any way not supporting SL, but.... there is a need for corporates to be able to have secure intranets and on those intranets there is a willigness to have a metaverse now. Still some resistence of course but most of the time I get asked 'right can we have a secure meeting?' whereas it used to be 'what the heck are you up to playing games at work'. So we have moved from a skunkwork project with Algernon Spackler and I to a digital convergece emerging business unit"
"The trick then is to deal with the flow between all these virtual worlds, the underlying standards. So I think its fair to say we are less interested in building another SL, more interested in having more than one platform to then get talking to one another, dealing with property flow between the environments helping with open standards"
"I think if we run SL on virtual infrastructures utilizing both virtualization and grid we will be able to handle much more audience." Third speaker was Klaatu Niu, a Sr. Systems Engineer from Sun, who mainly tried to propagate Sun's networked.com to a crowd of SL addicts, so that was a little queer. "What we at Sun have done is make avail to the public a large scale computational grid for anyone to run jobs on... Today.. its a batch oriented environement. but you pay only $1 US per CPU hour consumed we also allow you to publish for others to run .. and use your own applications there.. what I think . might be interesting. and something that I'm begging to investigate is ..can an SL object.. submit to our grid some processing needs and get the results back." To the metapolitans present it wasn't a quick win, someone was quick to point out that Amazon's EC2 cloud only runs at $ 0.05 /hr and that large scale projects, such as Jerry Paffendorf's innovative Destroy Television experiment, streaming 99,000 pictures from SL to Flickr turned out to be quite expensive. Most interesting point is that Sun tried hard to steer away from rumours over the alledged virtual world project codenamed MPK20. I think it is pretty safe to say that Intel and Sun are still seeking a way into web 3D but still remain deeply rooted in the era of the Digerati, whereas IBM surely has moved on to the Metarati age.